Different sizes of churches serve different functions. And they face different challenges. 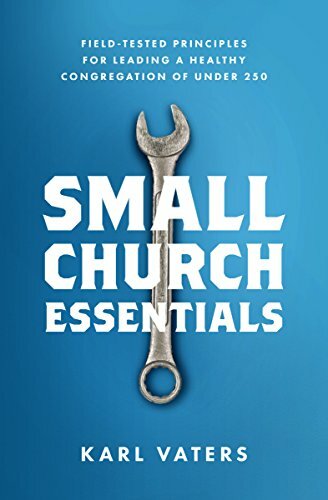 Small churches are not just smaller versions of big churches. Every size has value, but different sizes serve different functions in the body of Christ. They also have different challenges and they tend to make different kinds of mistakes. Some traditions strengthen a church, some weaken a church. And some traditions that used to strengthen us will eventually weaken us if we hold onto them past their sell-by date. No, I’m not talking about biblical principles. Without those, we don’t get to call ourselves a church. But anything other than those need to be held lightly, and sometimes not at all. Not long ago, I was chatting with the pastor of a dying church. He was excited about his plans to revitalize it, so I asked him to send me an outline of those plans. What did he send me? A six-month calendar of committee meetings. Certainly, getting the planning team in the room for regular times of prayer, strategizing and assessment is a very valuable part of the process. But having more meetings is a poor substitute for having a plan. Having more meetings is a poor substitute for having a plan. Another pastor in a similar situation sent me a list of sermon series. Preaching in series can be very helpful. I’ve done it for years. But we can’t confuse a sermon series with a revitalization plan any more than meetings are. They may be elements of a plan, but they can’t be the plan. On a recent, very helpful Thom Rainer podcast about replanting dead or dying churches, Mark Clifton said that churches in crisis “generally value the process of decision over the outcome of decision.” Healthy churches prioritize outcomes. A plan includes a roadmap for how to get from where you are now to a better, more desirable future. Certainly that plan will change as circumstances change, so the ability to adapt and change needs to be built into the plan. But, to repeat the old cliché, those who fail to plan, plan to fail.